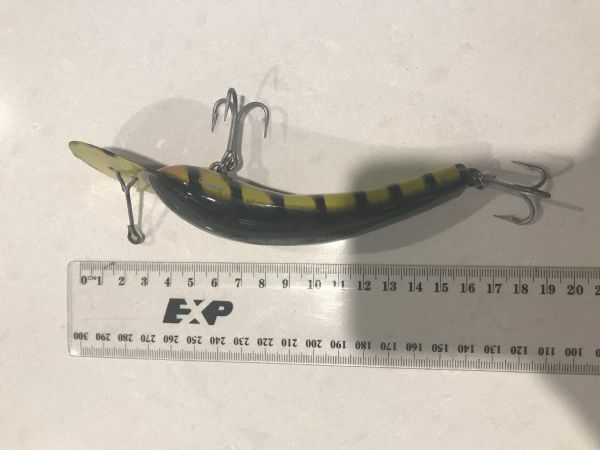 Hello, I joined this forum as my father has given me a few Tenterfield lures, made by Trevor McFeeters, as he is no longer able to fish and I have suddenly been offered a fair bit of money for one and I'm not sure if they are worth what he is offering? I have a Tenterfield Tiger 200 1988 vintage. Its in good condition however has a couple of minor scratches. I don't want to sell it only to find out my father has been ripped off. Post a picture but if it’s an Aussie 200 it’s worth a couple of hundred if good condition if not more. 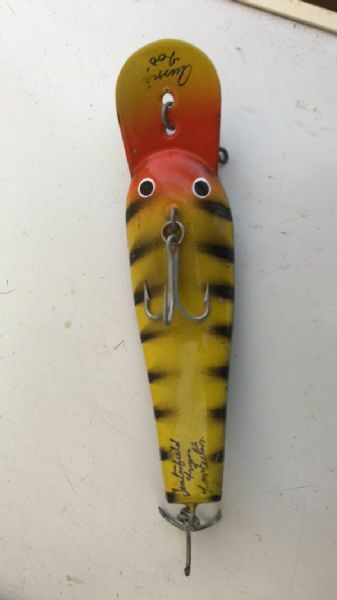 I am not a collector but when someone is parting with good money at least two sides and top view minimum of a lure. The more photos the better. Placed a long a ruler helps to work out what size / length as well. Stef from that picture $250 Min in the open auction sites but private sale may be a little less. From your deseiprion and that picture you can see it’s in good condition , it is a very common colour also. Scarce colours would maybe fetch better coin. Thank you for your help! Very much appreciated! The man was not offereing anywhere close to that so I’m glad I looked for advice. 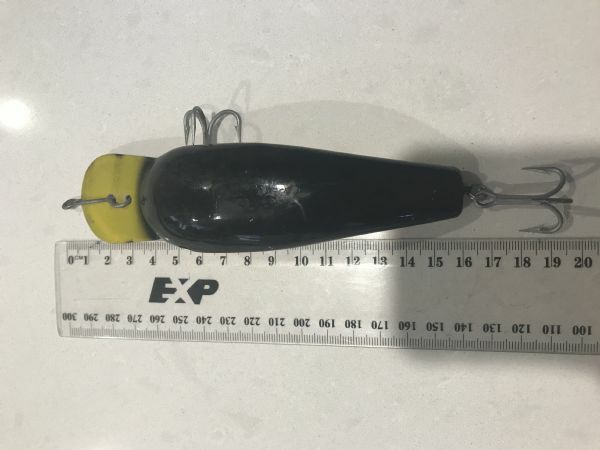 I like fishing but i have no clue about lures other than how to use them (sort of 😂). There are really nice people on here that will give you good advice. If that is a bad scuff/scratch down to the bare timber in the side I would decrease the value somewhat. Very good to mint condition will always bring better donllars.